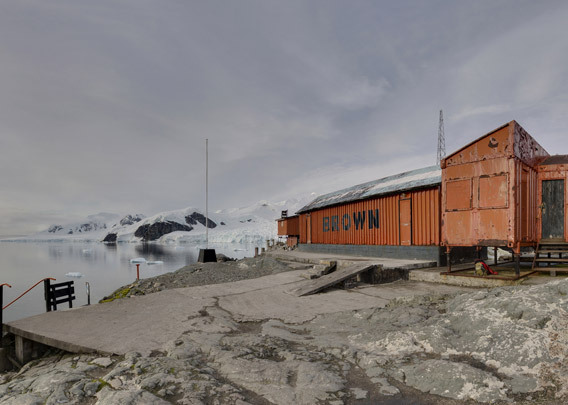 The Argentine base Almirante Brown is one of 13 (!) 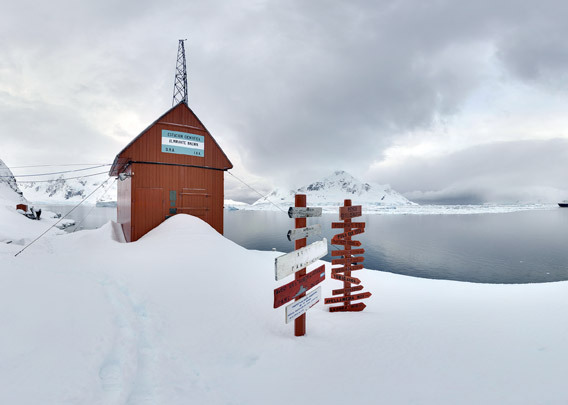 Argentine stations in the Antarctic Peninsula and the South Orkney Islands. 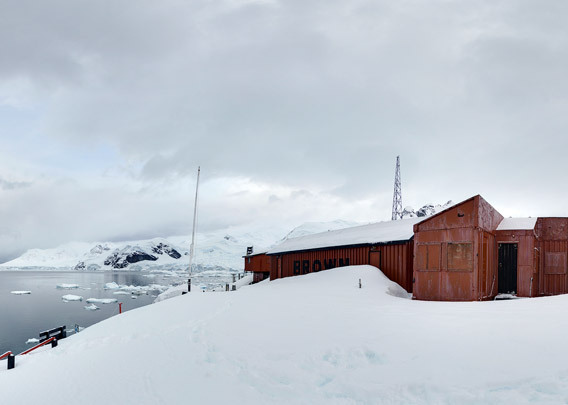 Almirante Brown was originally built in 1951 (opened 06 April 1951), several years before the International Geophysical Year (1957-58), when many other stations followed. Formally called „Estación Científica Almirante Brown“ after one of the founding figures of the Argentine Navy, it was mainly used as a weather station and later enlarged with a biological laboratory. Above the staircase that leads the visitor up from the shore to the station, there is the obligatory post with signs pointing to different places in the world and indicating the distance there. 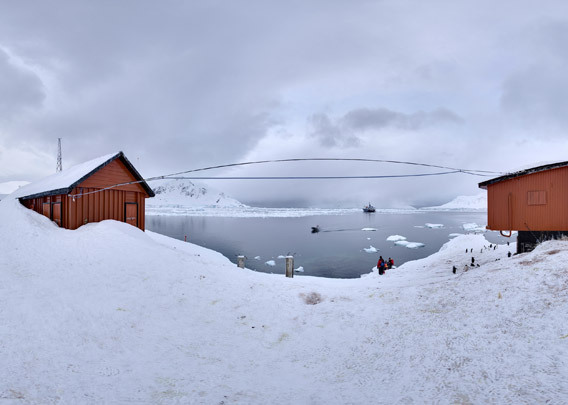 This is the case with most Antarctic stations. 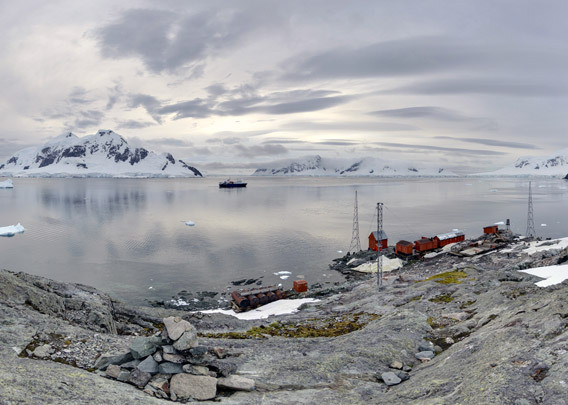 In 1964, the Navy handed over the station to the Argentine Antarctic Institute. The new name “Estación Científica Almirante Brown” should emphasize the scientific character compared to the military one. 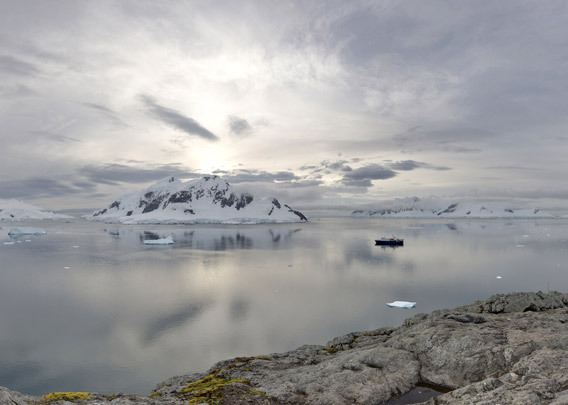 After all, the Antarctic Treaty had been in force since 1961, according to which Antarctica was to be dedicated to science, whereas the military was to be largely banished. On 12 April 1984 the station was largely destroyed by a fire. The fire had started in the hospital; it is said that it was set on fire by the doctore after he had been told that he had to stay for another winter. An idea that he did obviously not like. All crew were soon taken on board several ships that were in the area. After the fire, the station lay in ruin for several years. First significant repair work was made in 1995/96 so the station could accommodate a small crew again. Further repairs followed in 1999/2000 and from 2007 onwards. Already in 1990, the station name was changed from „Estación Científica Almirante Brown“ to „Base Brown“. Today, it is usually referred to as „Almirante Brown“. A crew was present during the 2017/18 season for further clean-up and repair work and there is a plan to make Base Brown ready for year-round use within 5 years. Already in 1956, the Navy had built a backup for the base at Punta Beatriz, about 200 metres north of the actual station. The backup was known as „Refugio Naval Conscripto Ortiz“. 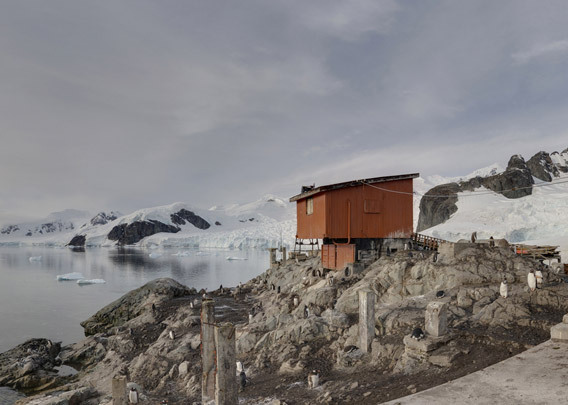 The 1984 fire showed how important it is to have a retreat far enough to be safe from fire, but close enough to be reached during any weather conditions, even during the polar night. 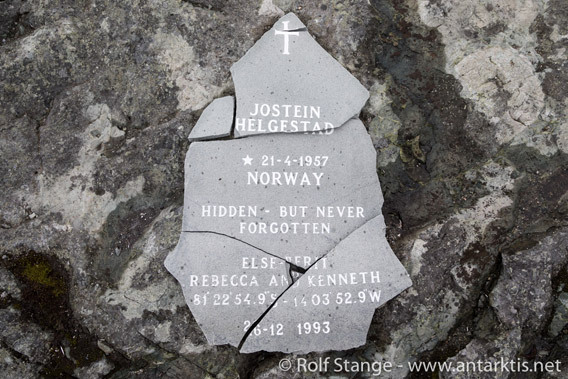 Helgestad was member of a private Norwegian expedition of four, including Monica Kristensen Solås who later became a famous author. He died when he fell into a crevasse in the Shackleton Range (about 1000 km away from the South Pole, east of the Weddell Sea) while he was exploring a route in difficult glacier terrain, being on his own and not secured. Shortly before, another member had already fallen into a crevasse, but survived with some injuries. 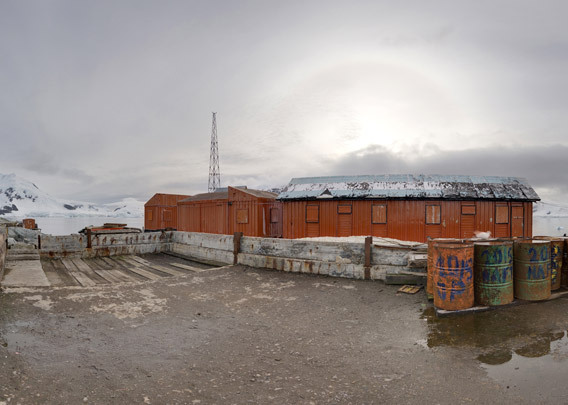 After Helgestads fatal accidant, the surviving members were rescued by a US SAR team from McMurdo Base that came via the Amundsen-Scott Base at the South Pole. 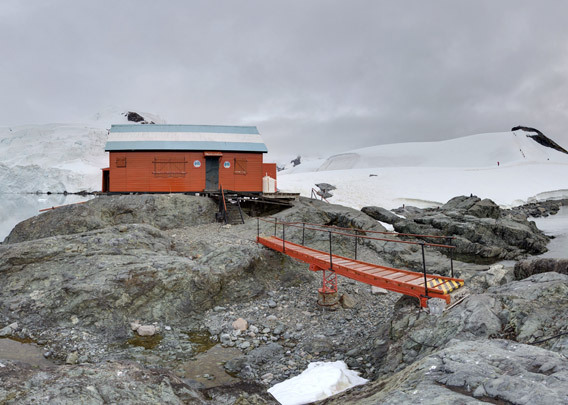 Helgestad’s body, which was far down in the very narrow crevasse, and most of the equipment were left behind (source http://www.southpolestation.com/trivia/90s/monicasar.html).